Healthcare and hospitals are implementing hospital digital signage for marketing, information, digital donor walls and wayfinding than ever before. Streamlined communication with visitors, patients and employees saves time, money and frustration for hospital marketing teams and human resources departments. 1. Hallways and Waiting Rooms – This is the best place to reach a broad crowd with upcoming events that are open to the public, honors earned by hospital staff members and departments, healthy living advice, and even weather forecasts and road conditions. 2. 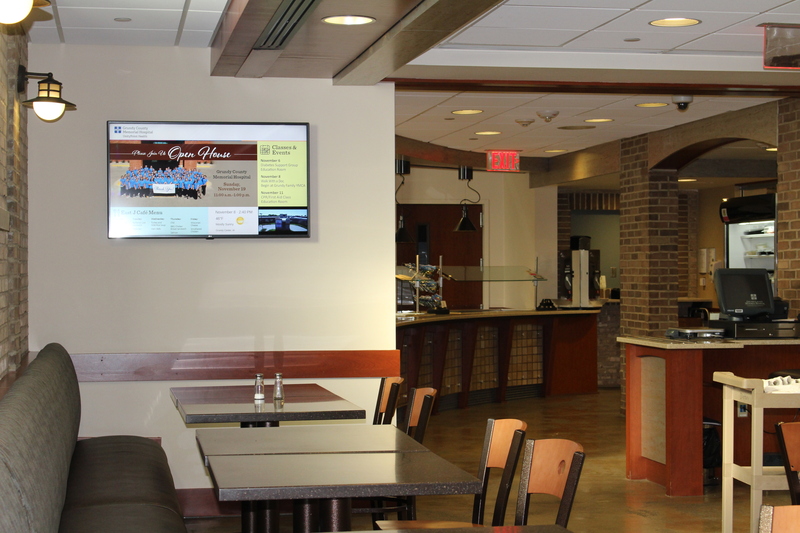 Cafeterias – Post menu boards in several locations in the cafeteria and maybe even just outside its door makes it easy for those browsing the menu to for customers to stand away from the serving line while they are still pondering what they crave. 3. Patient Rooms – Create a channel for patients to access on the television set that is already in patient rooms. It can display daily or weekly meal choices, special entertainment or opportunities for patients and their families, weather forecasts, and information about what patients can do to make their stay more enjoyable. 4. 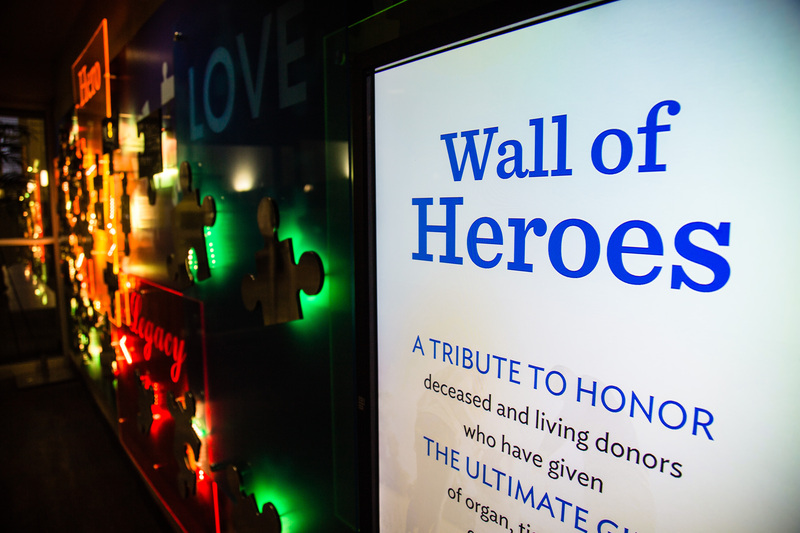 Donor Recognition Walls – Digital donor walls and kiosks are a great way to create a fluid, easily updated and attractive list of donors, tell donor stories and recognize the work and dedication that has gone into capital campaigns, ongoing donations and specific projects. They can stand alone, or be part of a larger, more artistic donor recognition wall. 5. Lobbies, Elevators and Stairways – Digital wayfinding can be interactive or static. It is easily updated when directions change, doctors or departments move, or building additions are built. 6. Breakrooms – Keep employees updated on upcoming event, policy changes, continuing education opportunities and hospital recognitions. Post birthdays and work anniversaries, and even the employee of the month. 7. History Displays and Hospital Museums – Older hospitals have a rich history in providing care for their communities. Share the history in an interactive display, or a slideshow of building projects, doctors who have served and made a difference, and breakthroughs that were made because of your staff through the years. 8. Healthcare Clinics and Pharmacies – Hospitals often have community clinics and acute care facilities for walkin patients and preventative care. Share upcoming health classes, wellness tips and staff information with patients as they wait. Digital signage will soon be mainstream in hospitals of all sizes, but when you are planning implementation consider rolling it out in phases. Learn how it works, what you can do with it and how you can get the most out of it. Then add more display channels or devices as the budget and staff availability to manage more displays allows. Your hospital may not have use for digital signage in all of these places described, but more and more hospitals are implementing digital signage for 3 to 4 of these uses. Digital signage is not just for huge hospitals anymore. 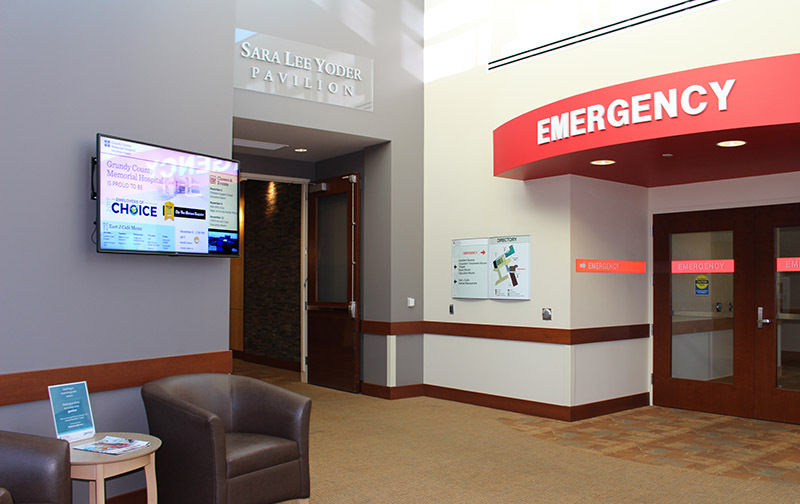 Arreya Digital Signage Suite has made it easy and affordable for even the smallest hospitals to have professional looking hospital digital signage.